The job board market is extremely competitive. 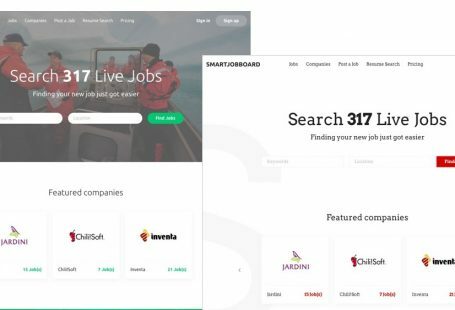 — although it’s dominated by a handful of huge providers like Indeed, Monster, and CareerBuilder, there are thousands of smaller job boards fighting for market share. Although it appears that it’s very difficult to create a successful job board website, that’s not the case. Succeeding as a job board provider means you need to differentiate yourself — you must provide unique value and content that your competitors don’t. If you can do that, you have a huge advantage. The majority of successful job boards work hard to do differentiate themselves, here are some good examples. inbound.org — this is a website for inbound marketers, it targets a unique niche and is a great community and place for marketers to communicate and get valuable information. 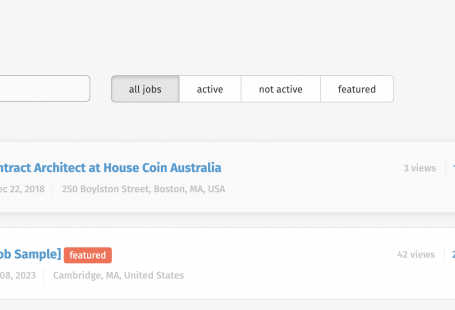 Their job board is incredibly useful for temporary, permanent, and freelance roles. problogger.com — Problogger is a website that provides information, training, resources, and thought-leadership for writers wanting to expand their blogging careers. They have a successful job board where publishers can source freelance writers. stackoverflow.com — Stack Overflow is an active, engaged community sharing questions and answers on development, coding, and other technical topics. They have an extremely successful job board for technical roles. As you can see, differentiation is vital to growth. 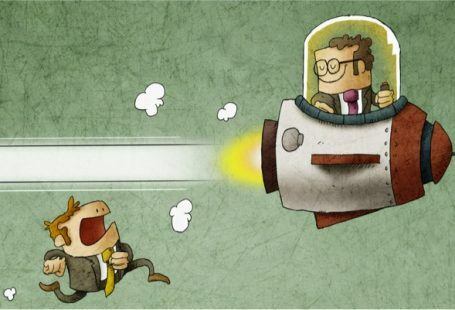 You’re never going to be able to compete on scale with the big providers, so instead, you need to compete on laser-focused value and expertise. That means giving both advertisers and applicants a way to find your website and a good reason to use your job boards. In this article, we’ll explore how to identify a niche for your job board through research and analysis. Then we’ll cover understanding who your competitors are and finding out what they offer. After that, we’ll look at how to work out the value you can provide and finish by showing you how you can position yourself in the market. We’ll give you a good overview of each area — you’ll also find links to other articles that take a deep dive into exactly what you need to do. By the time you’ve read through our guides you will have a thorough understanding of exactly how to build a successful, unique job board. Going niche is one of the best ways to differentiate your job board. Although you could start as a general job board, established competitors and the big job portals will make it harder to compete. Of course, there are arguments on both sides of whether to go niche or general. Get higher volumes of employers and potential candidates. Are difficult and expensive to market. Have a lot of competition. Will have fewer employers and potential candidates. Reach a specific, narrow audience. A good example of a well-marketed niche job board is Look Sharp, which was originally focused on entry-level jobs and was a job portal mainly for students wanting to enter the workplace. They were able to sell themselves to a large competitor after successful differentiation. This is a good tactic if you want to develop your job board to the point you can sell it — differentiate it and grow the audience of employers and candidates. Ultimately, the approach you choose depends on your experience, expertise, and how much money and effort you want to put into marketing. Our advice would be to start with a niche you know, and once you have success there, look at broadening your scope. Create a shortlist of niches you could serve, based on your experience, expertise, and access to those markets. Research the popularity of your proposed job board niches including searches for job roles and information by using Google Trends. Read industry blogs and forums to find emerging job roles and innovations to see if there’s an opportunity there. Establish the main keywords around the job board website you want to create. Use Google Keyword Planner to gather quantitative data and identify potentially profitable niches. Identify keywords that are competitive and will perform well in organic search. We advise that you take a methodical, data-driven approach to finding a niche. With so many other job board providers out there, competing with established players can be difficult. That’s why finding a gap in the job board market is the easiest and most lucrative way to provide job board resources to recruiters and candidates. Further information — A detailed, step-by-step guide to identifying and researching your niche. Competition is a natural part of business, and it’s something you will need to deal with. In fact, if there are no competitors in your job board niche, it’s possible there’s no demand either — in other words, competition is a good indication that there’s a market out there that you can serve. It’s important to get a good understanding of your competitors so you can differentiate yourself. Here’s how to find the other key players in your job board niche. Create a spreadsheet or other way of recording data on your job board competitors. Go to the major job board providers and search for roles in your proposed niche. Review — Indeed, Monster, CareerBuilder, Glassdoor, Dice, LinkedIn, Idealist, and Simply Hired. Our list of job board websites by sector. A crowd-sourced selection of job search websites. CareerCloud’s niche job board directory. The Top 100 niche job boards by sector. Search for [niche] jobs, [niche] employment, [niche] job boards, [niche] recruitment, [niche] careers, and any other keywords related to your proposed niche. Find the top ten or twenty specialist job boards and websites in your proposed niche. How many roles are being advertised in the niche you want to go into. The major recruiters and businesses posting on the job boards. The total number of recruiters and businesses posting on the job boards (if available). The number of jobs posted per month. The cost to advertise on the job board. This will help you identify demand for your job board — existing job boards, a healthy number of recruiters / businesses, and active candidates and applicants all show demand for the niche you want to go into. That’s good news. It’s also key to differentiating yourself in the right way. We’ve put together a research tool spreadsheet in Google Docs that you can use to research your own job boards. Get it here. We really mean it when we say don’t be discouraged by competition. In many job board markets there’s more than enough demand for several competitors to serve the same needs, and if you can provide unique value, you could even advance to be the leader. Next, you’ll want to understand exactly what your job board competitors provide. For each one you’ve listed, go through and look at the services, approach, and unique content and opportunities they offer recruiters and candidates. Discounts for advertising for longer periods or making a certain number of job postings. Allowing applicants to apply directly through the job board posting itself. A blog on various changes and news in the industry they serve. Resources guides and thought-leadership content on changes in the industry. Use of video, audio, or other media to provide information. A place where people can ask questions and get answers. A community or forum that brings people together to discuss common issues. Advice on how to apply for and get job roles in the industry. Note down any interesting or unique services in your spreadsheet. You’re going to use this to identify gaps in value that you can fill. Useful tools like AHRefs, Mention, Open Site Explorer, and Buzz Sumo can all help you to research your competitors and get some good, quantitative information on them — that includes seo positions, mentions in social media, how well linked and authoritative they are, and the like. The website itself is very well established. They are a well-known resource. Reporting on news and opinion. So, if you wanted to compete in this area, you could look at providing that type of content. It’s really worth spending time on this step. Some objective research should let you find out where you can really make a difference to your job board sector. It lets you make marketing decisions based on hard data and insight, which is key to differentiation. Now you know what your competitors do and the value they offer, you need to find a gap you can fill. That will be the unique value you add to the job board market and your key differentiating factor. It will help you carve out your niche and give your potential audience a reason to use your website. The single best way to do this is by providing awesome content. It helps to build trust, is great for your search engine optimization, and gives people a reason to share your website. Look carefully through all the data you’ve gathered in your spreadsheet and compare it to some areas where you could add value. Reporting on news and opinion on your niche and industry. Identifying upcoming trends in your sector and how it will impact on employment. Gathering together data and information on job roles and opportunities for your niche. Thought-leadership content on exactly how things are progressing in your sector. In-depth research and reports on topics of interest to employers and candidates. Finding new sub-niches that are likely to evolve. Providing resource guides of interest to your industry. Letting people know about professional qualifications, what employers are looking for, and how to get on the career ladder. Making use of rich media like videos, podcasts, infographics, or other resources to share useful information. Providing social media communities like Facebook or LinkedIn groups for your industry. Creating forums and discussion groups for conversation and mutual support. Providing education resources and tools for people. Various other content and tools. Brainstorm all the things you could possibly do for your niche, with one key thought in mind — “How will this benefit employers or candidates in the sector.” Once you have a shortlist of the value you can add, you’ll need to prioritise it so you can start creating value. Google Alerts to keep an eye on news in your niche. 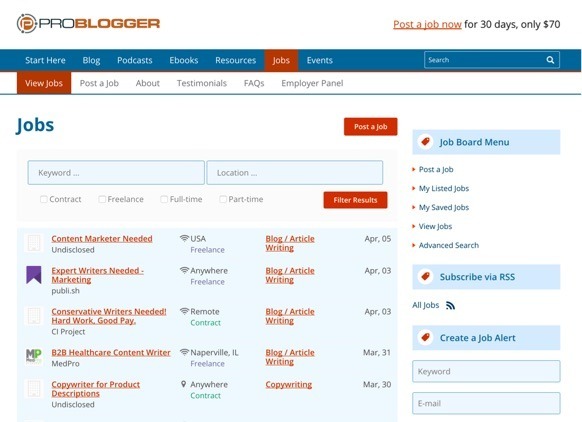 Blogarama to find blogs in your niche. Google Trends to find out what’s coming up. Reddit to find subreddits related to your sector. LinkedIn for groups related to your industry. The best way to provide value is to create new, unique content, research, thought-leadership, and reports that are not available elsewhere. This does take considerable effort but you will be rewarded with better search engine placement and more trust and recognition from elsewhere in your industry. A pure “job board” website that offers some unique value — e.g. better pricing, more engaged candidates, employers people really want to work for, etc? A ‘resource guide” website that provides useful information on various aspects of your industry? A place where people can come to learn new skills and approaches? A news style blog that reports on key industry changes? A community or forum for active discussion of industry topics? A collection of video or audio guides? An opinion site that examines and analyzes key industry trends and innovation? Thinking about how you’re going to position yourself is really important. It’s almost impossible to be all things to all people, so your niche is as much about the value you add and your positioning as it is about the industry your job board serves. Letting you understand your worth in the job market. Giving you information on how much you could earn. Providing plenty of resources on how to interview well. This makes them an excellent resource for candidates researching the market and draws millions of people to their website. Don’t underestimate the importance of positioning. You need a really clear idea of what you can (and can’t) do. That will give you the opportunity to really stand out and help you with your branding, tone of voice, and everything else you need to market yourself properly. There you have it, our overview of how to really differentiate your job board website. If you want to start up your own job board website or improve and refine the one you already have, the time to start is right now. Have you managed to differentiate your job board successfully? If so, we’d love to hear about it — please let us know in the comments. Once you’ve completed these steps, the next big task is marketing your job board website, and we’re going to cover that next. Really informative, post i will use all the valuable resources given,can you cover also sourcing jobs. I am currently on this and using backfill too. We’re actually planing to post an article about getting jobs for your site.